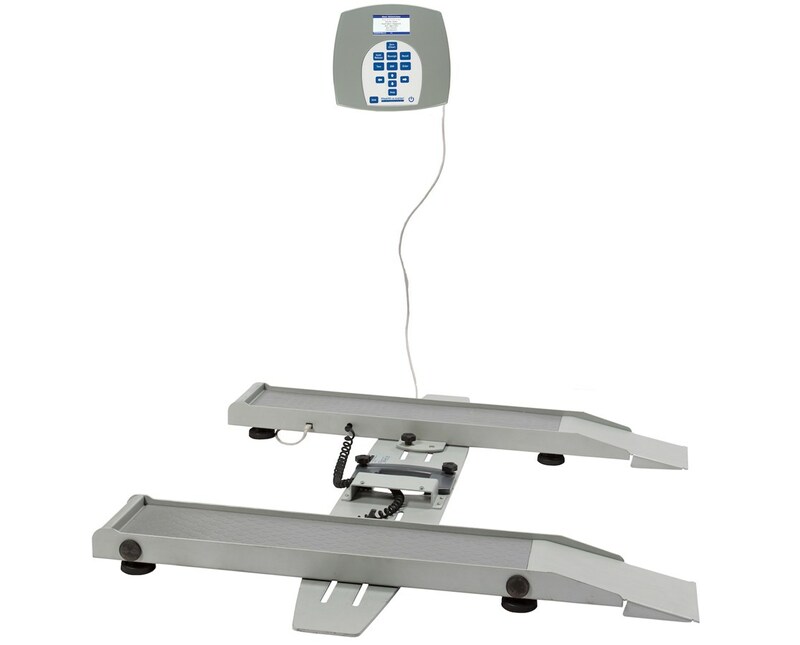 The 2400KL Health-o-meter Portable Wheelchair Scale was created to suit a variety of needs for healthcare facilities. Compact and reliable, this wheelchair offers complete mobility. EMR connectivity is available so that you can easily interface with electronic devices via USB. The remote display can be mounted on a wall, or placed on a surface of your choice. This scale expands from 26” to 50” to accommodate all standard and bariatric wheelchairs. The functions featured on this scale are LB / KG Conversion, LB / KG lock out, Body Mass Index (BMI), Zero Out / Tare, Hold / Release, Reweigh, Auto Zero, and Auto Off. A 120V adapter has been included for your convenience. You may also choose to power your scale with 6 AA batteries (not included). The 2 year warranty ensures that any problems you encounter with this scale will be quickly and efficiently resolved. 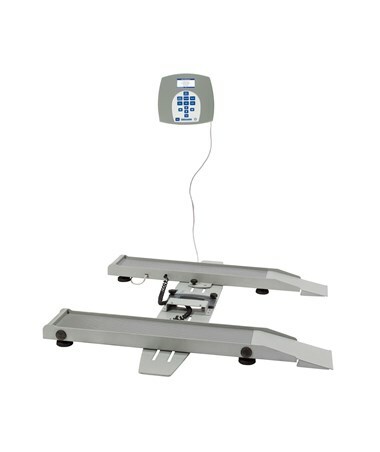 Whether purchased for a traveling nurse, for professional home care, or for a medical facility, this convenient and durable scale is sure to contribute to the efficiency of your weighing procedures. Overall Dimensions 40" x 50"